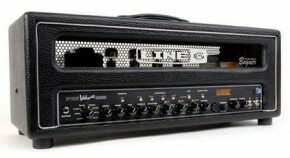 Line 6 – Spider Valve head boasts 12 channels of amp modeling – combined with several flavors of built-in modulation, delay and reverb driven by an all tube, all Bogner amplification design boasting 6L6 power tubes and 12AX7 preamp tubes. Spider Valve is the result of close collaboration between Reinhold Bogner and Line 6 to create the versatile modeling amplifier with the performance and feel of a first-rate tube amplifier. Modeling, effects + Tubes: The Spider Valve combines 12AX7 preamp tubes with its signature modeling front-end, a combination that allows the amplifier to deliver creamy, cascading distortion and enriched harmonics from the tubes, and 12 of the world’s finest amp models and seven stunning effects from the modeling front end. And, of course, matched 6L6 power tubes driving Celestion Vintage 30 speakers to deliver extraordinary tonal capabilities. With its no-frills, simple front-end controls and display, programmable patches and presets are effortlessly within reach. 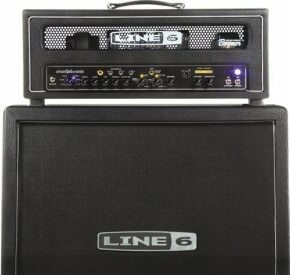 Take full advantage at tweaking your tone; with the front panel Presence, Drive, Bass, Mid and Treble controls. From the DL4 stompbox to the Echo Farm plug-in, the Line 6 effects have achieved trend status in studios to on-stage rigs. The Spider Valve delivers a range of top grade integrated effects – easily accessed and tweaked from the front panel using the “SmartControl” FX knobs. Modulation: A choice of phaser, chorus or tremolo lets you tweak your tone from rich luscious modulations to dramatic orbital gyrations. Delay: From the swirling feedback of the sweep echo to the organic decay of the tape echo, Spider Valve delays provide an unmatched level of dimension and depth. Reverb: The Spider Valve effects arsenal is complete with a dedicated reverb control allowing you to dial in anything from subtle ambiences to cavernous spaces. History behind Bogner: Reinhold Bogner, the principal designer at Bogner Amplification, had been designing and building amplifiers long before leaving Germany in 1989. 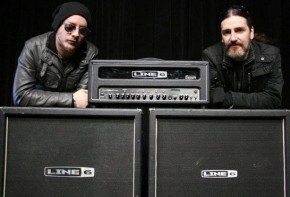 Moving to Los Angeles he quickly gained the trust of many influential players including Steve Stevens, Dan Huff, Allan Holdsworth, Mike Landau and Steve Vai who sought out his skill at modifying and custom building their amps. But it was overhauling and revitalizing Eddie Van Halen’s legendary 1968 Marshall Plexi in 1992 that propelled Bogner to legendary status and inspired him to launch his own high-end amp company, Bogner Amplification. 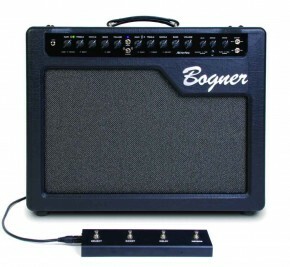 Acclaimed for their rich, robust tones, channel-switching sophistication and sonic versatility – Bogner amps have earned a maniacally devoted following among discerning guitarists such as Jerry Cantrell, Lyle Workman, Wes Borland, Chris DeGarmo, Keith Urban, Richie Sambora and many others. The Spider Valve uses only premium components – in tandem with a level of craftsmanship that can only be referred to as “artistry”- Bogner amplifiers certainly deserve their distinguished reputation. Bogner brought those same priorities, standards and sensibilities to develop the Spider Valve amplifier.